The Tigers have made it to the state championship in the ninth book of the It Takes Two series! Meanwhile, Ava’s football team lost their last playoff game, leaving them out of the finals. Even though she didn’t play particularly well, Ava knows she wasn’t the only one, so she doesn’t understand why some of the boys on the team are blaming her. Her teammates are also saying that if the Tigers don’t win the state championship, her father will be out of a job…and he isn’t denying it! Ava is horrified by the idea of leaving Ashland behind for good, but Alex doesn’t seem to care. 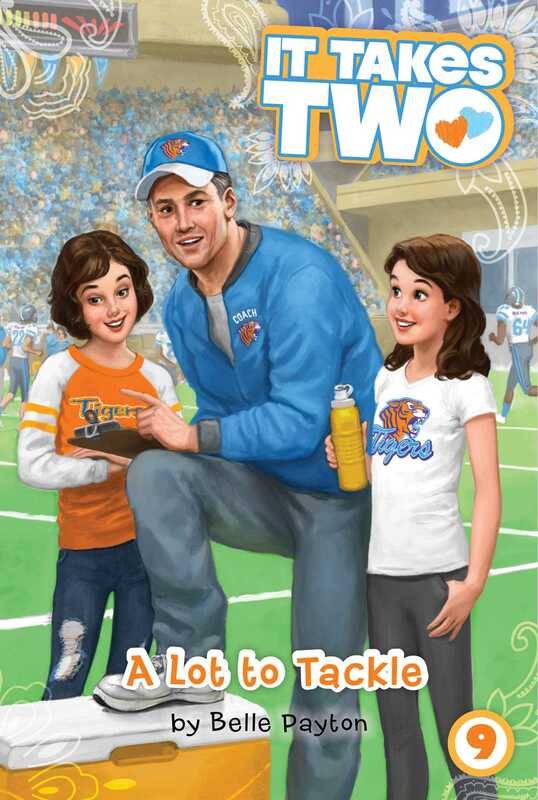 With so much going on at once, can Ava get her twin to snap out of it so they can rally around their family and cheer the Tigers on to victory? Belle Payton isn’t a twin herself, but she does have twin brothers! She spent much of her childhood in the bleachers reading—er, cheering them on—at their football games. Though she left the South long ago to become a children’s book editor in New York City, Belle still drinks approximately a gallon of sweet tea a week and loves treating her friends to her famous homemade mac-and-cheese. Belle is the author of many books for children and tweens, and is currently having a blast writing two sides to each It Takes Two story. "The twin device is effectively deployed as each girl seeks to understand herself independently, in relation to her twin, and in the context of her new town; there's also appeal in the plot's sitcom elements of overheard conversations, secret observations, and all the uncertainty that comes with being a new place."